Tails of Equestria: Get Started Bundle! Get yourself the Tails of Equestria rulebook and Starter Set in this limited time offer bundle! Get yourself the Tails of Equestria rulebook and Starter Set in this limited time offer bundle! Only available at this special bundle price. 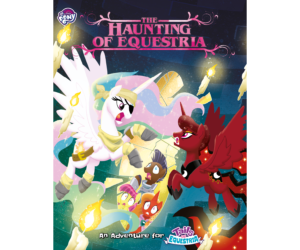 With the Starter Set, you can jump right into a ‘choose-your-own-adventure’ style story in Equestria. You’ll face-off against a terrifying Red Dragon in an effort to save the city of Van Hoover! This product is fully self-contained and does not require a Gamemaster. This is the perfect way to jump into the world of roleplaying in Equestria! Tails of Equestria: Gamemaster’s Bundle! Tails of Equestria: Mega Book & Box Set Bundle!